When advanced technology and financial services combine, unparalleled efficiency is born. Indeed, the fintech market has expanded rapidly in recent years with $41.7 invested in fintech-related projects during the first half of 2018 alone. The Forbes Fintech 50 for 2019 line-up includes some of the world’s biggest start-ups, including Bitfury and Coinbase from the crypto/blockchain category. With a multitude of competition emerging, how can brands stand out from the crowd? And specifically, is your fintech start-up embracing visual marketing? Marketing goes way beyond the written word. It’s about being creative and engaging your consumers through enticing and innovative content that will set you apart from competitors. Indeed, visual stimuli is becoming increasingly necessary in the digital marketing world. Of course, we’re talking about video, infographics, charts, graphs, images, gamification and anything else that brings a visual perspective to your brand. Let’s look at the facts. 85% of people are more likely to buy a product after watching its video. And considering 80% of the world’s internet traffic is predicted to be video content by 2020, it’s well-worth jumping onboard. 45% of people watch more than an hour of Facebook or YouTube videos per week. 2 billion people worldwide will be using fintech apps by 2020. Therefore, visually appealing, app-friendly content is a winner over long blocks of text. 45% of B2C (business-to-consumer) marketers consider their most important type of content to be visual content. In fact, blog posts with images get 94% more views than those without. Fintech and creativity are a match made in heaven. The industry is all about breaking barriers, being bold and making waves. Therefore, your marketing efforts should reflect the ground-breaking excitement of the sector. Here are some great examples of eye-catching fintech infographics. 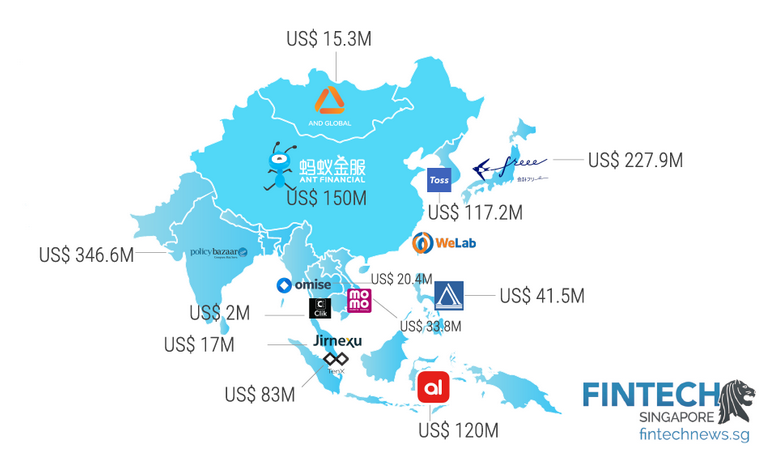 Fintech Singapore News published the below infographic in November 2018 showcasing Asia’s most well-funded fintech companies by country. This image is visually impressive, fact-filled and easy to share making it great marketing material. And, there’s absolutely no reason why you couldn’t do something similar for your brand, perhaps detailing the breakdown of expenditure for your fintech project? Or, showcasing a timeline of events for your start-up? 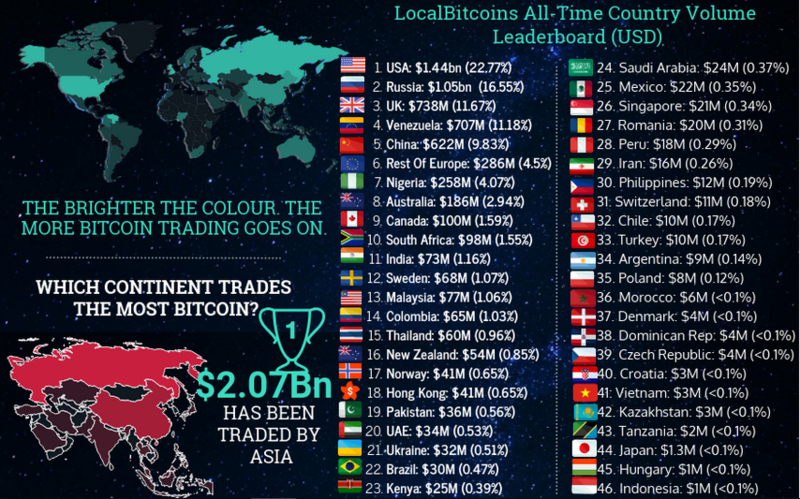 UK-based TotalCrypto created this cool and concise infographic to explain Bitcoin trading volume by country. It gives a clear insight into the sector in a way that written text wouldn’t be able to achieve in such a concise manner. Key concepts are explained in bold with the use of flags to depict each country being extremely visually appealing. Do your research. No-one wants an infographic that’s wrong. Think about presentation – white writing on a yellow background, for instance, won’t work! Make it professional – seek the skills of a talented designer and writer. Get branding – expand outreach and shout about your brand in a clever way by including your logo or slogan. Explaining difficult concepts in an easy-to-understand way. Making your brand authentic. Fintech companies must gain the trust of consumers and this means taking a humanistic approach and going behind the scenes to show that you’re worthy of their time and investment. Creating buzz and excitement with teaser videos of around 10 seconds being a great way to draw your audience in. As you can see from the below image taken from a YouTube search of Fintech Circle, LIVE webinars are also being used to engage consumers and appeal to those looking for genuine, informative content from brands who know their sector well. Contact the Contentworks team for financial services content marketing including videos! To communicate company news, writing press releases, articles and blogs is essential. But you can also use imagery to communicate your messages. This is particularly useful for social media platforms like Twitter where you’re limited to a specific number of characters. Below is a great example from intelligent payment platform provider Stripe. 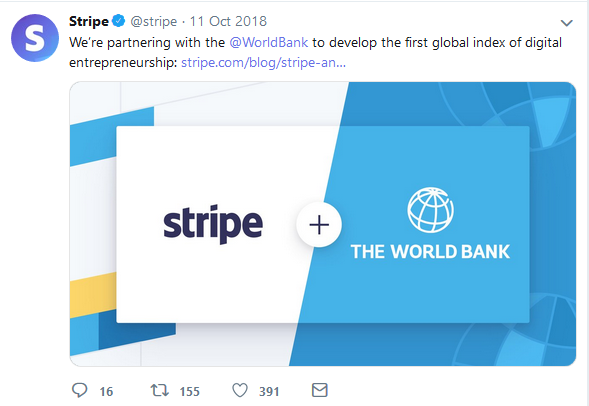 Not only have they added a visual image which clearly communicates their collaboration with The World Bank, but they also link through to a blog on their own site encouraging users to find out more. Gamification is also another cool and visually impressive marketing technique. And considering 53% of gamers are aged between 18 and 49, you’re essentially tapping into a younger audience (mostly millennials) who feel comfortable with new and innovative tech. Millennials – often referred to as Digital Natives – have never lived during a time when computers weren’t around. They feel comfortable taking on new concepts and adjusting to new technology. Takeaway 1: Don’t be afraid to be different. The more innovative and confident you are, the more intrigued a tech-savvy audience will be. Explainer content such as videos as well as more traditional techniques like blogs and articles can also get those new to fintech involved. Takeaway 2: Form collaborations. By connection with influencers you can get the word out quickly about a product or service. 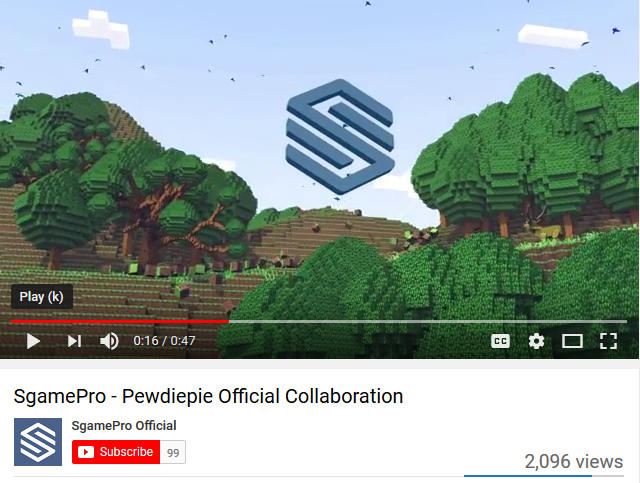 In this case, video promotion by a successful YouTuber is also a great example of visual marketing. Is Your Fintech Start-Up Embracing Visual Marketing? Contact the Contentworks team today for visual and written content marketing that works hard for your brand. Contentworks > The Content Bar > Tech > Is Your Fintech Start-Up Embracing Visual Marketing?